Cute! Especially the 3rd one makes me smile!! 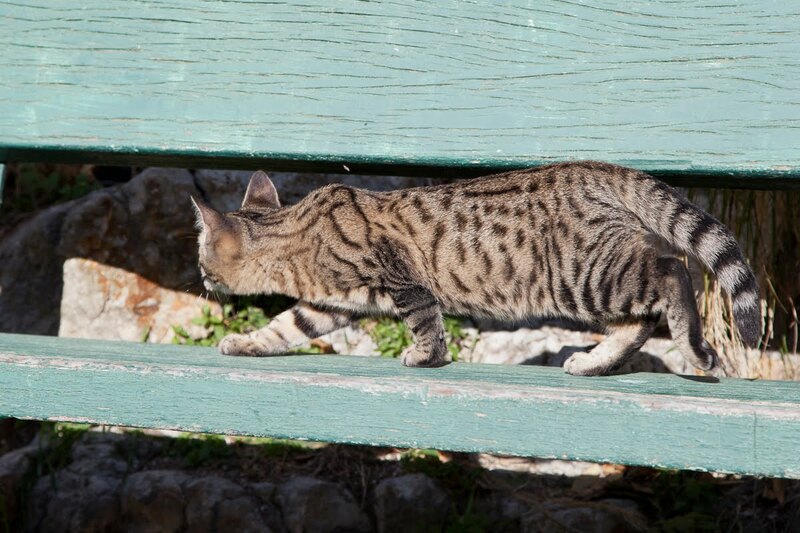 Funny, I photographed my neighbour's cat, too, yesterday, which was sitting in the bird food.. Also a grey tiger cat like this one. I remember a day I was with you in Gorbio, and we pictured the same kind of kitty on the same kind of bench..How cute! What a beautiful kitty! Meow! Cute kitty...but unlike Rod McKuen, I tense up when a cat walks by my chair at someone's house...it usually ends up by jumping on me and digging in (unintentionally) with its claws! as you can well image, i adore this series of images. You and this cat bonded for a time - love the series, but especially the portrait. Great shots that made me smile. As a confirmed dog lover, have to say the kitten is so cute to convert me to felines. You seem to have a knack for photographing cats, perhaps as a result of your yeas of practice with dogs. What a wonderful portrait you have in the top image, Jilly. Sweet Kitty!!! 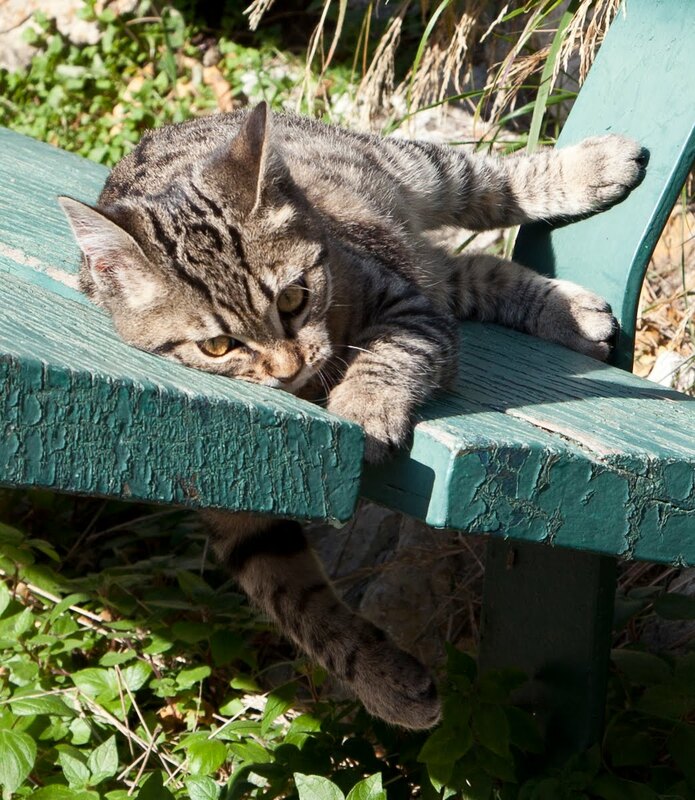 Love the paw hanging down below the bench!!! My wv: print!!! Guess you better print these!!! I agree with the quote, but I think it must be a chat noir! 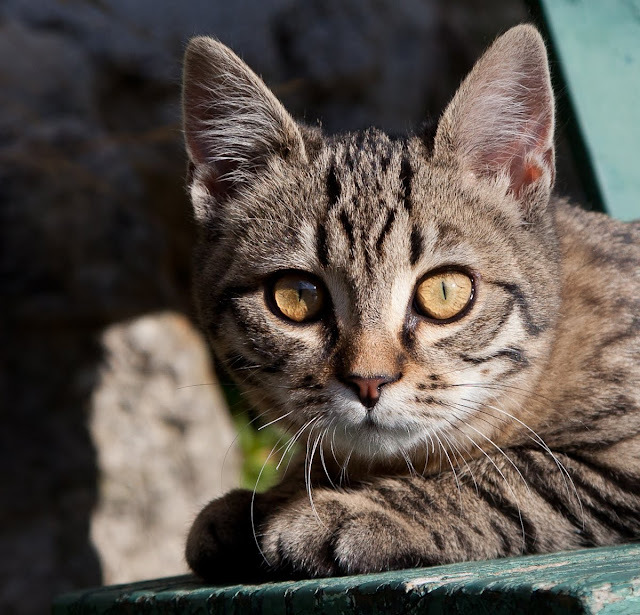 great kitten photos, from the canophile no less! Jilly, your photographs are beautiful. I stayed in Menton several years and I did notice how handsome the cats were!